With a résumé that includes five James Beard awards, Dorie Greenspan has become fluent in many culinary arts through the years. But these days, the author and part-time Connecticut resident is more interested in the simple goodness of dishes that don’t require the expertise of a master chef and endless hours of preparation. 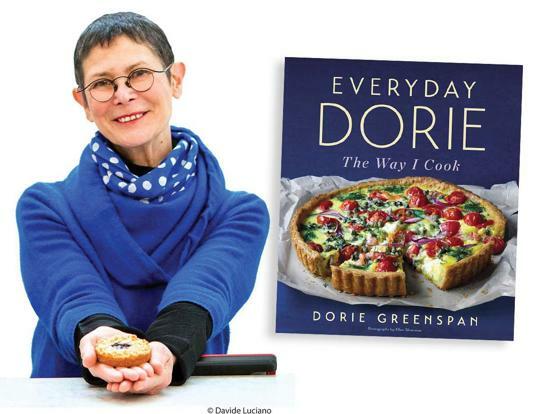 That’s the thinking behind Greenspan’s 13th cookbook, Everyday Dorie: The Way I Cook, packed with hundreds of improvisation-fueled recipes that can be made with ingredients commonly found in home pantries. Today is a winter Monday morning. What’s for dinner? It’s a dish I love to make during the week: Chicken and salad Milanese style, which is breaded cutlets, using easy-to-get ingredients. It’s really pretty and simple to make. What pantry ingredient is most underrated? I would never want to be without a lemon. It’s hard to think of anything that isn’t made better with either some freshly grated zest or a good squeeze. And I do it at the end so the flavors stay bright and strong. I made osso buco the other night and right before serving I gave it a squirt of lemon and it just brightened those really lovely, slow-braised, deeply comforting flavors so that they’re not one-dimensional. You’re about to fly to Paris, where you’ve lived for parts of two decades. What’s your go-to Everyday Dorie meal there?